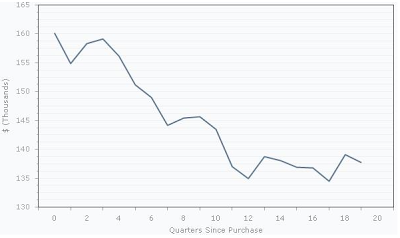 Now that we're halfway through the year (I know, I know … I don't want to deal with it either), let's look at what's going on with construction and real estate. 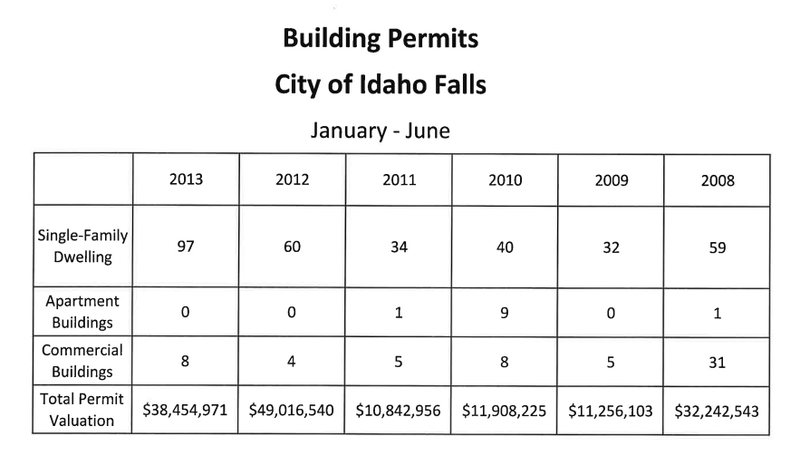 Thanks to the city of Idaho Falls and the Snake River Multiple Listing Service, we have numbers for the first six months of this year as well as numbers from past years. 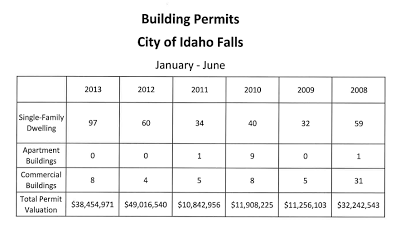 In a nutshell, construction in the city of Idaho Falls is lagging behind last year, but 2012 was extraordinary due to a few big projects. This year's six-month building permit total -- $38.4 million -- was way ahead of 2011, 2010 and 2009 (years I don't think most business people would care to live through again). By the way, if you want a magnified view click on any of these graphics. On the real estate front, the median home price in Bonneville County continued to climb back upwards, as did the number of homes sold. Here's something interesting, though. The median home price in 2008, right before the great collapse, was $160,182. If you bought a house for that amount then, what would it be worth today? The answer, according to the Federal Housing Finance Agency's Housing Price Index Calculator, is $137,715. So we've still got a ways to go.